Peace building revolves around the sum of multiple Peace generators, among which, the treatment of Life Stories as a contribution to Peace, may be found. To deepen our understanding of these Life Stories and question the manner in which they are conceived and collected is currently one of the great scientific and social challenges, especially in divided societies, a social challenge for our past, present and future. Pedagogy of Peace through memory. The bombing of Gernika. A didactic unit that accompanys the documentary El Bombardeo de Gernika. 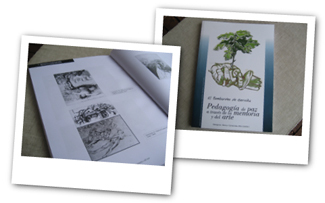 With the aim of treating the Bombing of Gernika in the context of the Spanish Civil War from a pedagogy of memory perspective, for its study and exhibition in schools. Finaced by the Spanish Government�s Ministry of the Presidency, and the Gernika Gogoratuz Association. 2007-2008. Microsite about the survivors of the Bombing of Gernika. Microsite that collects and disseminates the sense and significance of the Bombing for the inhabitants of the town of Gernika. Financed by the Basque Government and the Gernika Gogoratuz Association. 2008. CRIC. Cultural Heritage and the Re-construction of Identities after Conflict. Research project within the framework of the European FP7 program (2008-2012), in which a study is being carried out locally to explore the collective memory of the bombing, its integration into the contemporary identity and the development of the symbolic and memorial landscape of Gernika. Financed by the European Union as a Collaborative Project under the Seventh Framework Program of the EU (ID FP7- SSH-2007-5.2.1 History and Identities). Mo Jes�s Cava, chair of Contemporary History at the Universidad de Deusto, recovers the collective memory of the survivors of the Bombing of Gernika. The research reconstructs the events, and provides an evaluation of the subjective variables of those who were witnesses. A Gernika Network publication. Red Gernika no1. 1996. On April 27th 1997, the 60th Anniversary of the Bombing of Gernika, the president of the Federal Republic of Germany, in a gesture of reconciliation towards the survivors of the bombing of Gernika, recognised Germany�s involvement in the bombing of the town. With this event as the central cord, Michael Kasper the author of the book, tells us the story of a reconciliation; that of Germany and Gernika. A Gernika Network publication. Red Gernika no4. 1998. Research, cataloguing and interviews with the survivors of the Bombing of Gernika, in order to create the documentary "El Bombardeo de Gernika - Gernika Story" produced by Idem audiovisual productions. Financed by the Basque Government. 2007. 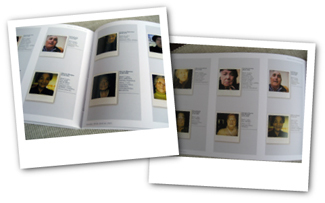 Participation in the book of photographs and stories abouthte collective of men and women survivors of the Bombing of Gernika. This work edited by Gernika Gogoratuz is a continuation of the work that along with the German artist Pia Kuhlman and Pedro Deltell we have been developing around intergenerational dialogue. Financed by the Basque Government and the Gernika Gogoratuz Association. 2010.